The County Council met Tuesday to consider legislation, including CB-29-2018, which proposes the establishment of a Commercial Property Assessed Clean Energy Program (C-PACE). The measure was referred to the Committee of the Whole and will be placed on the Council agenda for a vote in July. The Council also presented several bond measures to be placed on the General Election ballot, including bonds supporting Public Works & Transportation, library facilities, public safety facilities, County buildings, and Prince George’s Community College capital projects. The bond measures were referred to the Committee of the Whole. If approved by the Council, these bond measures will be placed before voters on the General Election ballot. In other Council action Tuesday, a letter was approved supporting the Certificate of Need filed by Encompass Health Rehabilitation Hospital of Southern Maryland, LLC to build a free-standing inpatient rehabilitation hospital at Melford, in Bowie. Meeting as the Committee of the Whole, the Council reviewed appointments to the Historic Preservation Commission for Prince George’s County and appointments to the Enterprise Road Corridor Development Review District Commission. The Council is grateful to our residents for their commitment and dedication to the County through their service on these important commissions. 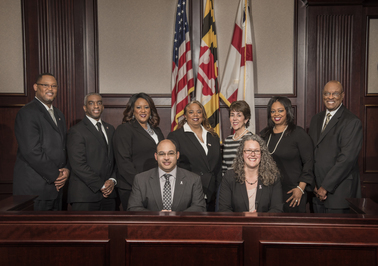 The County Council, sitting as the District Council, is granted authority to act on zoning matters by the State of Maryland Regional District Act, now known as Article 28 of the Maryland Annotated Code. The County Council sat as the District Council on Tuesday, June 19. The County Council will not meet on Tuesday, June 26, 2018, Primary Election Day. 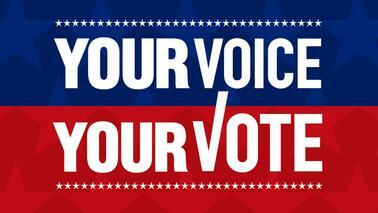 County residents are encouraged to exercise your right to vote. Polls are open Tuesday, June 26, from 7:00 a.m. until 8:00 p.m. for all registered voters. For more information, visit the Prince George’s County Board of Elections online. Council Vice Chair Todd Turner joined Thursday’s celebration re-opening Lanham Hall on the Largo campus of the Prince George’s Community College. Lanham Hall is the among the college’s oldest buildings. 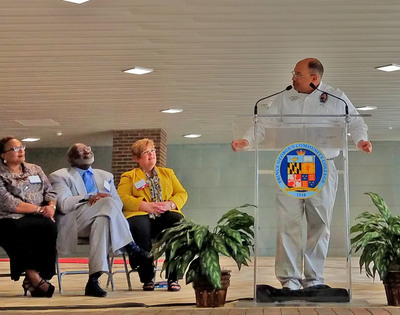 Vice Chair Turner offered remarks during the ribbon-cutting ceremony for the newly-renovated building, which supports the growth of the Community College; houses one-stop student support services; serves as the hub of Workforce Development and Continuing Education offices; and is the new home for Maryland’s first middle college, the Academy of Health Sciences. Council Chair Dannielle Glaros and Council Member Derrick Davis presented a proclamation to Senator Ulysses Currie on Saturday, in recognition of his retirement following more than three decades of public service in the Maryland General Assembly. The Honorable Ulysses Currie was elected to the Maryland Senate in 1994 after serving eight years in the General Assembly as a member of the House of Delegates.